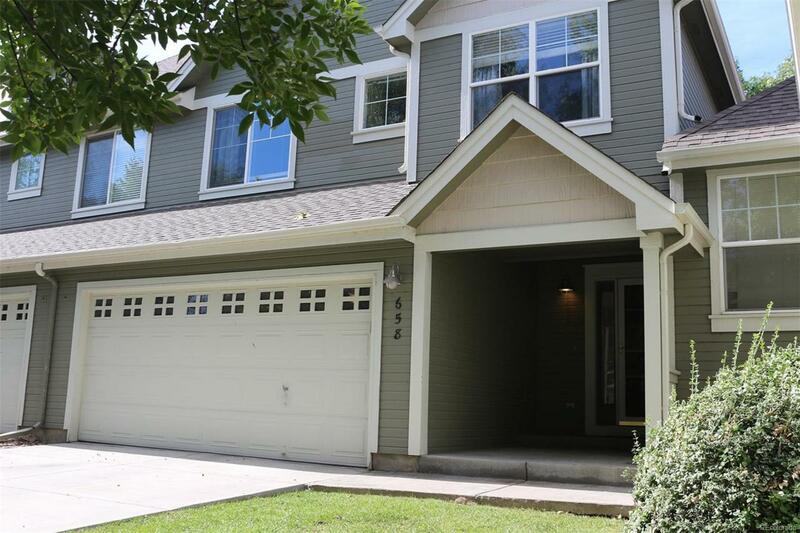 WELL CARED FOR LAFAYETTE TOWNHOME, 2 CAR GARAGE, OPEN KITCHEN WITH A LARGE VAULTED CEILING LIVING ROOM , 3 BEDROOMS UPSTAIRS INCLUDING A SPACIOUS MASTER SUITE, ADJACENT TO SEVERAL PARKS! WALK TO LAFAYETTE GREAT PARK, WALKING/BIKING TRAILS, DOG PARK NEARBY, GREAT LOCATION NEAR MANY RESTAURANTS AND SHOPPING, NEW CARPET, BRAND NEW LG MICROWAVE AND STOVE, COME AND SEE THIS ONE TODAY, YOU WILL NOT BE DISAPPOINTED! Offered by Welcome Home Real Estate Llc. HomePopper at Re/Max Structure- Licensed in the State of Colorado. The real estate listing information and related content displayed on this site is provided exclusively for consumers’ personal, non-commercial use and may not be used for any purpose other than to identify prospective properties consumers may be interested in purchasing. This information and related content is deemed reliable but is not guaranteed accurate by the Pikes Peak REALTOR® Services Corp. Data last updated 2019-04-20T23:40:51.143. © 2019 Information and Real Estate Services, LLC. IDX information is provided exclusively for consumers' personal, non-commercial use and may not be used for any purpose other than to identify prospective properties consumers may be interested in purchasing. Information is deemed reliable but is not guaranteed accurate by the MLS or HomePopper at Re/Max Structure. Data last updated: 2019-04-20T23:37:45.8.